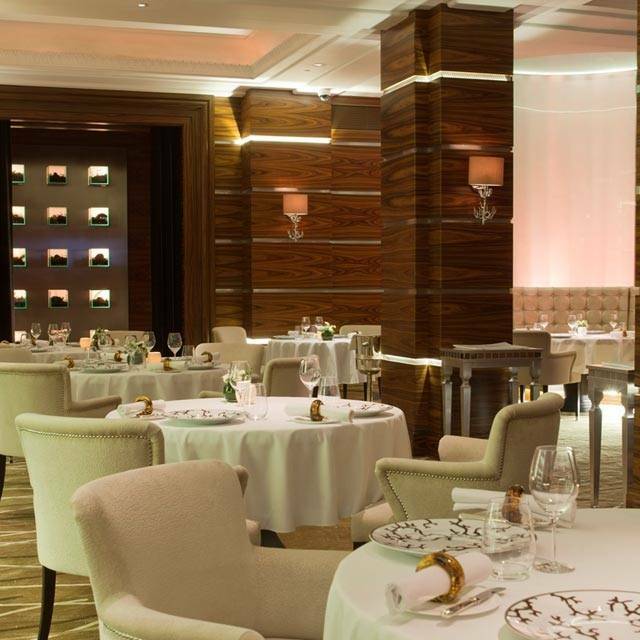 Alyn Williams at The Westbury is situated in the heart of the Westbury Hotel. 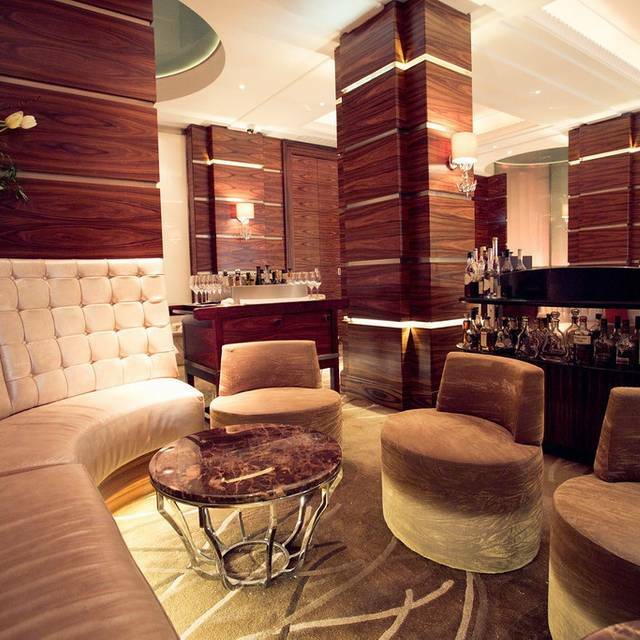 Located in Londons most exclusive and exciting dining neighbourhood. 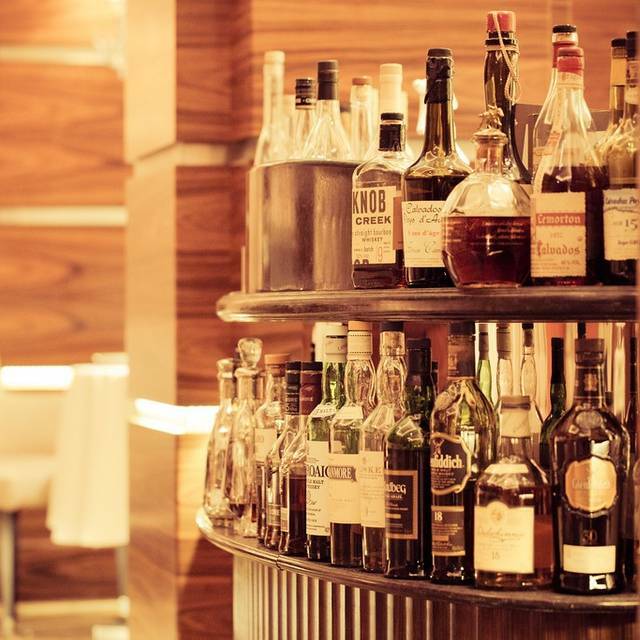 Alyn Williams offers a progressive French cuisine along with a relaxed and professional service headed by Restaurant Manager, Chris Bakowski. 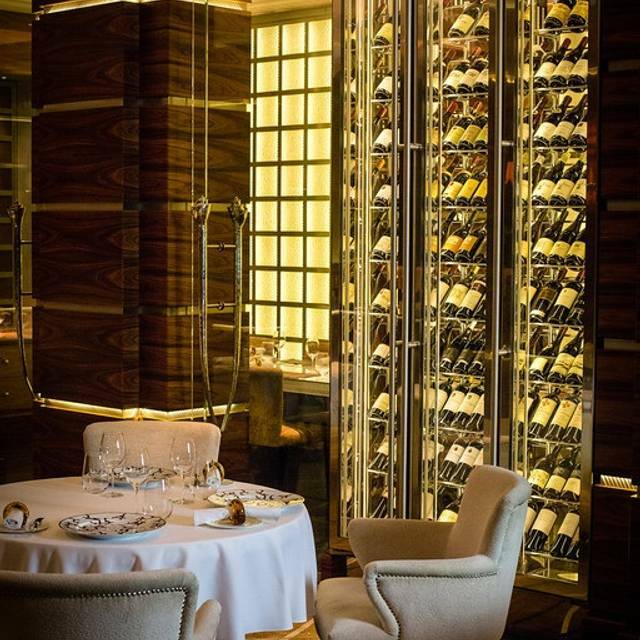 The beautiful Wine Room is a real focus in the dining room. It seats up to ten guests and we specialise in creating bespoke menus around expertly chosen wines. 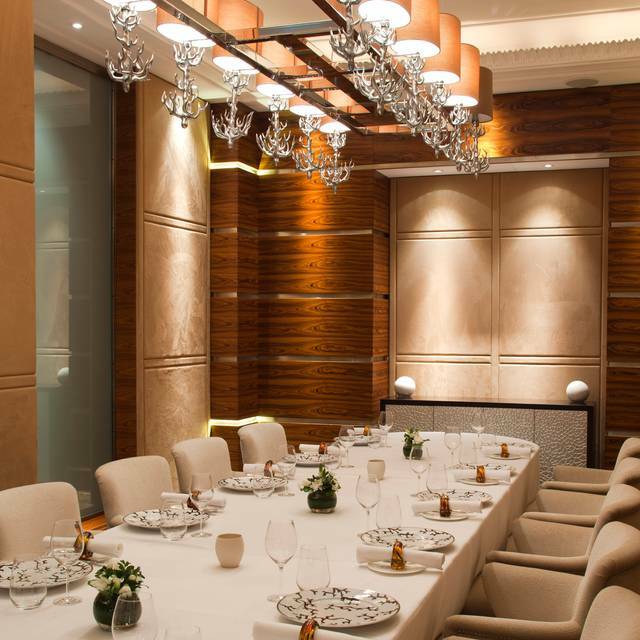 The restaurant design is both stylish and elegant to reflect the philosophy of the restaurant. 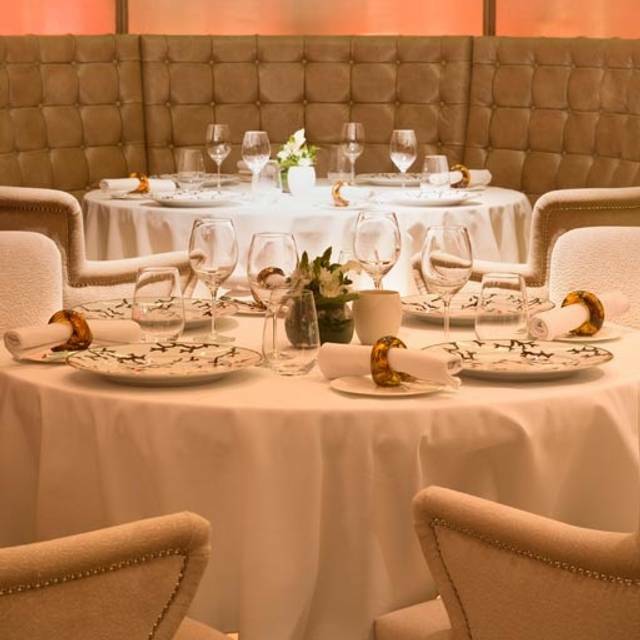 5 courses bespoke tasting menu, a glass of bubbly £65 per person. From a set menu, includes coffee and petit fours. The £47 Lunch offer is very good value. Our party was delighted by the elegance and expertise of the chefs. The combinations of flavors and textures in each dish were very well balanced and with 5 courses the portion sizes were perfect. Fantastic dining experience, with perfect food and wine pairing and very professional, charming service. Simply amazing. We had a wonderful dining experience at Alyn Williams. The 5 course surprise menu is our favourite as it always includes some new dishes. This time the pea starter stood out bringing variations of the humble pea together in a tantalising way. The dessert surprised with a slightly sour take on a churro (yum yum) which worked really well. Service, especially by Florian and Viktoria, was excellent with their unobtrusive attentive- and friendliness ... and we got to meet the kitchen team under Josef working hard behind the scenes. A lunch outing opting for the Open Table five course Du Jour tasting menu with the matching wines. (The set price included water, tea/coffee and petit fours). For the first and desert courses you had a choice from two, the others were set. We arrived an hour earlier, not a problem. Good table spacing, very comfortable. Cuisine: Modern British. Presentation, service and the quality of the food all very good. The amuse-bouche and bread offered were excellent The wines served we would never have chosen ourselves, complimenting the food superbly. To complete the experience we were offered the opportunity to visit the kitchen , meet Chef. A very relaxed, enjoyable lunch. Went for my friends birthday. Staff were excellent and the food was too. Really great place for a special occasion. Superb meal. The food, the service, the staff. Recommend. The mother's day menu was excellent. Fantastic service for Mother's day lunch, the staff were attentive and really made mum feel spoilt, it was so nice that they were happy to help with the picture taking. The food was delightful, beautifully executed and came at good pace, we were in a rush to leave to go to a concert and they readily brought out our pre dessert with dessert. It was a lovely gesture that Alyn came to say hello. We had a brilliant time. I would go for the 5 courses next time. On certain nights and times they offer a 5 course menu. I would opt for the 5 courses instead of the 7 courses. The 7 courses was excellent, but was bit too much for us and took 3.5 hours. We went for the standard wine flight. The wine was nice, he pairing good, but nothing was particularly excellent. Also, Greek and Brazilian wines, as far as I know, are not expensive and formed part of a £80pp wine flight. The wine list is extensive and I would have expected some of the more expensive wines to be included. The service is sublime. The staff are allowed to be themselves, it is not a formal "yes sir, no sir" atmosphere. You can have a chat with them and feel that they are being themselves. The food is excellent. The restaurant is a lovely setting. It is a brilliant place. We were staying for the weekend at The Westbury hotel and decided to have the tasting menu at the Alyn Williams restaurant . It was even better than the last time that we stayed ; the dishes served were as good to eat as they were to view , each one was excellent . Needless to say we thoroughly enjoyed ourselves . The serving was faultless and the people who served us were charming and most efficient , without being too obvious . A five star evening . We look forward to the next time . Great execution. Fresh ingredients. Super welcoming staff and Alyn asked us to meet him in the kitchen. We also met Tom as well. Such a nice place. Can’t wait to revisit. The quiet and understated atmosphere was such a welcome relief after experiencing so many noisy restaurants in London. The staff were attentive without in any way hovering. I was fascinated by the marvellous flavours which were delivered with every dish: such subtle and pleasing combinations. My friend and I were treated to different wine suggestions with each course which was great fun. I tasted wines I would never have tried and save for one was pleased. It was a pleasure to be in a restaurant in which the tables were generously spaced so that one felt quite private and not part of a great, heaving crowd. I shall return and in fact have already made another date for lunch in September. Fantastic food and very good service. On the tasting menu a couple of dishes were a little light in the form of a broth and a salad, but they were so good it didn’t make a difference and was nice not to leave completely ‘stuffed’. Venue is pretty quiet so better for romantic couples - could probably do a better job of spreading customers out when it’s quiet, but overall very good and will certainly be back. Lovely food, staff and setting. The food? Delicious, succulent, imaginative without exaggerations. The place? 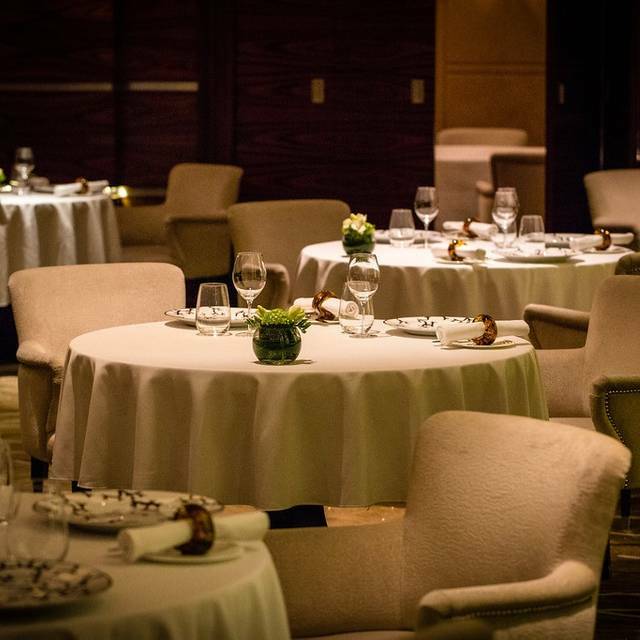 Elegant, not noisy, without being too sophisticated, sort of understated five stars. Attentive service, international European staff, a Brex-in place. A good bargain for lunch. Hard to forget the empowered natural taste of the carrots and of the carrot jelly. Worth it to come back not attracted by the Michelin star, but by the chance to have some, not neurotic, quality time and food by a very good chef. A Fantastic Experience, Good value Served by exceptional stall. We thoroughly enjoined our visit. A fabulous Saturday evening at Alyn Williams. Saturday is the tasting menu only and it's great value as well as exquisitely constructed by the brilliant young chef Tom Booton. The staff were lovely, relaxed, informative and the food was just one amazing tasting course after another. We will definitely be back. Food, service and ambiance was superb as always. Hands down, best restaurant in London. We had such an amazing time at Alyn Williams. We went out for lunch for my wife’s birthday and the restaurant made us feel so welcome. We were served a range of dishes selected by the head chef. The food was absolutely amazing, really amazing. We even had a chance to meet Alyn Williams himself! He was a really nice guy. He showed us around the kitchen and made us feel very special. It was a fantastic experience. Excellent tasting menu well paired with unusual wines. We were all very pleased that Alyn came to our table to discuss the menu and why such choices were made. An excellent evening and wonderful dishes. A nice touch with Alyn himself being there and taking the time to walk round and chat with diners. Only negative was a mix up with the bill where we were overcharged for drinks though they were very apologetic. I choose Alyn Williams for a number of reasons since the occasion was for a first "Date". I was not disappointed and neither was my date, she loved it! Tables nicely spaced out so it was private without feeling you were on an island. Food was superb, service was fabulous, with the staff being attentive - but not overly so. They did everything to make it super special, including meeting with Alyn Williams himself. My date who is a chef herself, said to me he won't be in on a Saturday afternoon - she had to take her words back after she met him. It was also excellent value for money! I'd certainly go again! Thank you to Ayln and his team. A more relaxed One Star Michelin. Exceptional value as the cooking is really top drawer and this from someone who frequents the UKs starred restaurants. 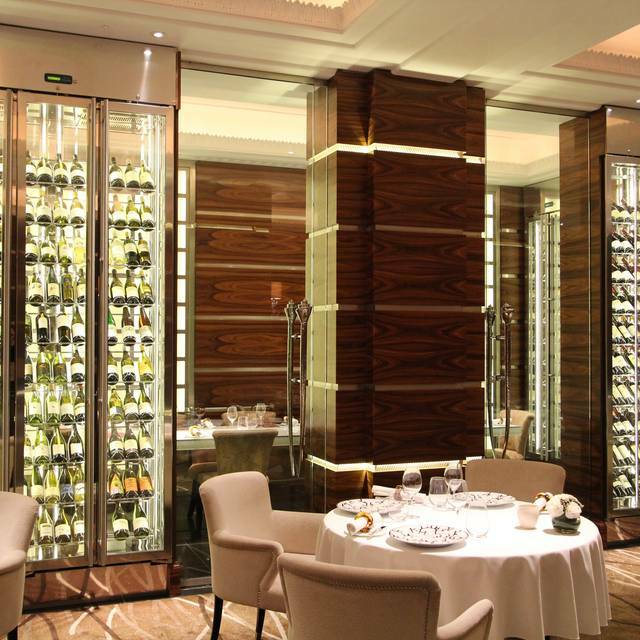 The set lunch on Saturday @ £40 a head + 12.5% (of course..) is possibly the best value lunch in London at the moment. First class food experience- lovely flavours, and friendly service. I was invited to meet the chef in the kitchen. My wife and I had a lovely wedding anniversary lunch. Excellent service, food and wine. We were very well looked after! Fantastic lunch on my Wifes Birthday. 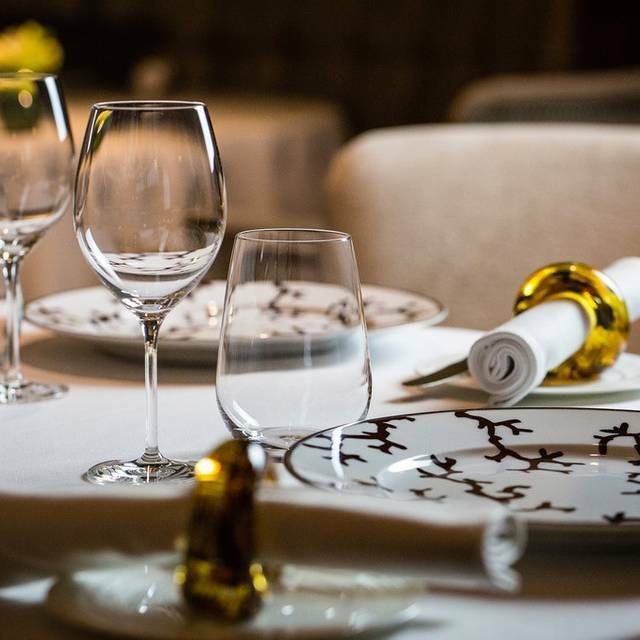 We enjoyed the bespoke tasting menu and asked the excellent Sommelier Constantinos to do us a wine pairing with each course. Generally good value for money we went for the 5-course tasting menu. We were there last year the food was more impressive than today tho. Was hoping to meet the chef in person but again didn’t get it. Like the decor still, and the ambience, very calming and relaxed. Great food and service. Would come again. Its on another level, if you have the chance to go it’s a must visit. Went for Valentine’s Day, the food was fresh, fantastic and filling.